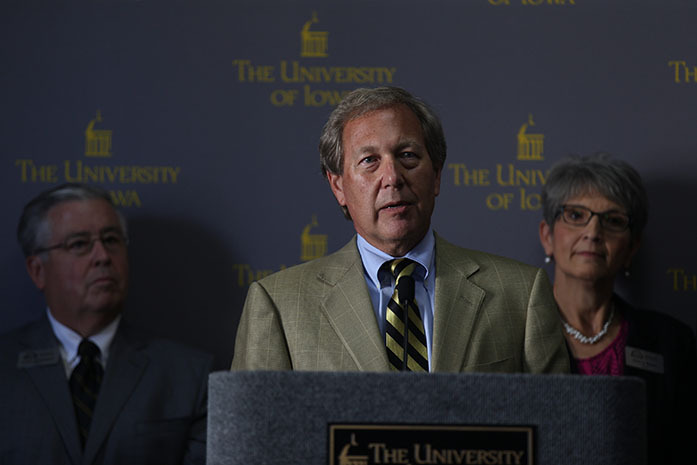 The American Association of University Professors removed the University of Iowa from its list of sanctioned institutions — a list it landed on in 2016 for flaws in the search process that resulted in the hiring of Bruce Harreld as the 21st UI president. The group voted to lift the sanctions on June 16 at the AAUP annual meeting in Washington after its Committee on College and University Governance recommended the removal of sanctions in April. At that time, the panel noted improvements in UI shared governance. 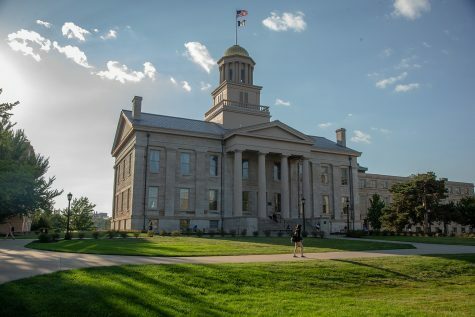 The organizations placed the sanctions on the UI in 2016 following Harreld’s hiring after an investigation found deviations from AAUP shared-governance standards in the presidential search. 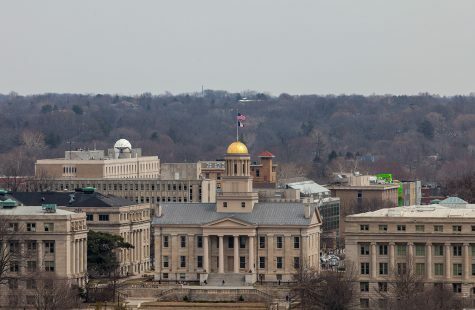 Because the group’s bylaws require sanctions to target institutions rather than governing boards, the UI received sanctions for the state Board of Regents’ conduct. “It’s a strange dynamic,” Harreld said in a May interview with The Daily Iowan. The UI was the most recent of seven institutions the AAUP has sanctioned, some of which have been under the cloud for nearly 20 years or more. 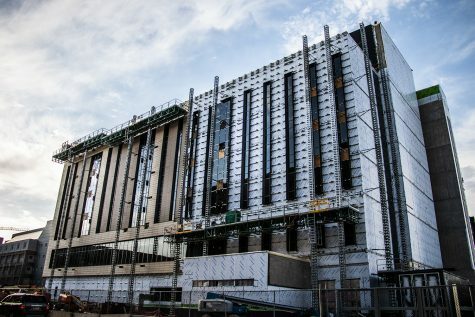 The organization publishes the list of institutions and reports as a way to inform others about the institution’s unsatisfactory conditions of academic government, according to its website. 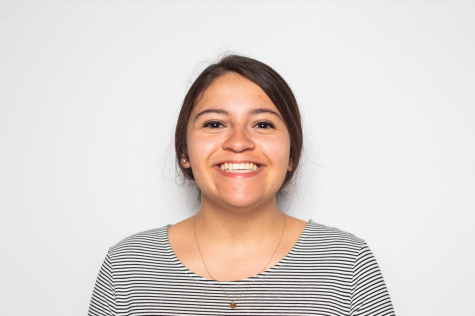 Following the investigation, the UI created a committee to address the violations in order to be removed from the sanction list. Harreld said faculty members have led the effort to lift the sanctions and shared governance on campus has improved. History Professor Katherine Tachau, the president of the UI chapter of the AAUP, said she was thrilled when the sanctions were removed. 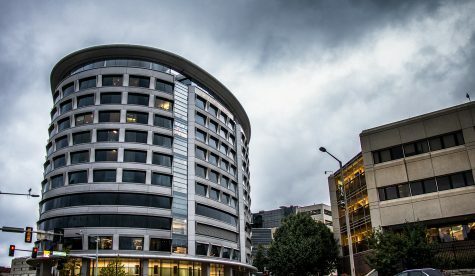 The faculty and regents are going to have an excellent working relationship, she said, and there are also more people involved in Faculty Senate business — not only from AAUP members but from others who are not members and agree with the group’s belief in the importance of shared governance. Through the process, Tachau said Faculty Senate has learned how to take initiative to solve problems that affect faculty. 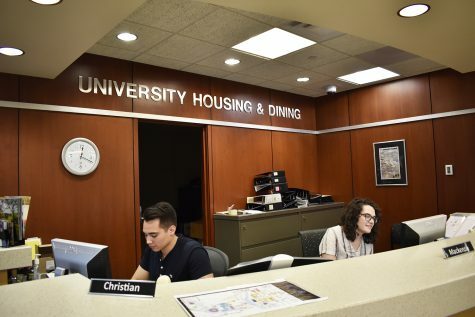 The hiring process began shortly after then-UI President Sally Mason announced her retirement in January 2015. 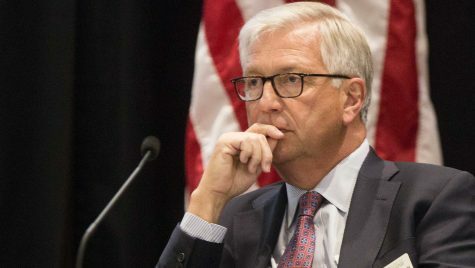 The search committee comprised 21 members, headed by then-UI Vice President for Medical Affairs Jean Robillard, who also served as interim president at the time. Traditionally, UI presidential-search committees primarily include faculty members and do not contain regents. That is, until the 2006 search that ended with Mason’s hiring. The 2015 search was different ​— seven faculty members and three regents were part of the committee. 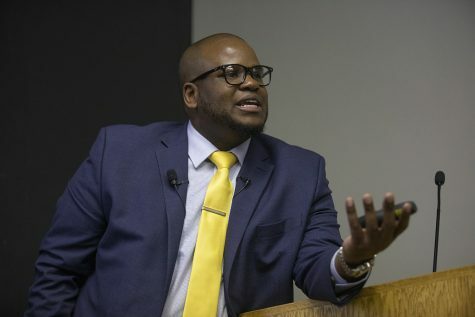 In the past, faculty members on the search committee served as a conduit for faculty reaction and sentiment, and they assumed they would fulfill this role again, said the investigation report. The search committee and a search firm worked to narrow the candidate pool down to four finalists. The committee was disbanded after the selection of the semifinalists. Following this, the UI chapter of the AAUP conducted a survey of 442 faculty members regarding their assessment of candidates’ qualifications, using the evaluation criteria adopted by the search committee. Responses were tabulated into an overall percentage of whether the candidate was qualified. 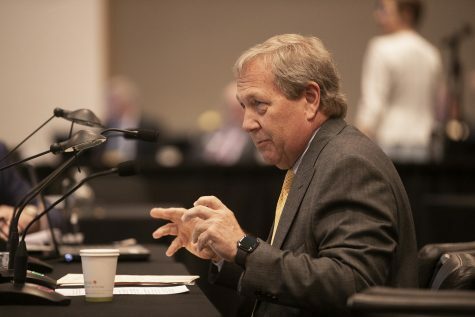 Results released the afternoon before the regents made their decision showed faculty believed Harreld was the least qualified candidate, receiving a 2.9 percent rating. On Sept. 3, 2015, the regents appointed Harreld as the next president. 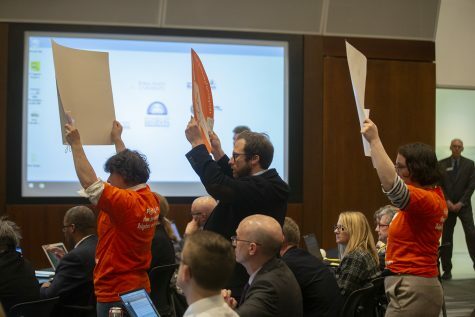 In the days following, the UI Faculty Senate voted “no confidence” in the regents in response to their concerns regarding the search and whether their feedback was considered. Both the undergraduate and graduate/professional student governments followed the Faculty Senate’s lead later that day.